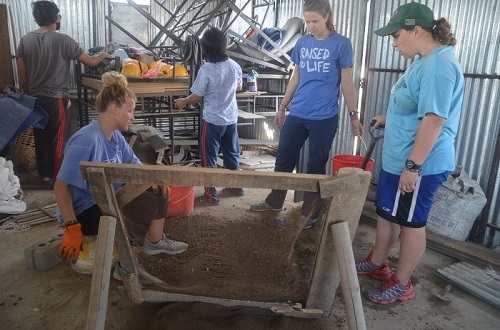 We started hand made brick making project to help rebuild destroyed homes of the poor and churches. Many people benefited from this efforts as they can make brick from local materials, like clay, sand and cement and little bit of water. People liked this and wanted. 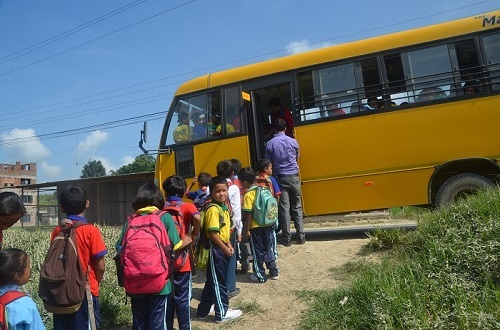 Twelve Children from Sindhupalchowk were taken off and supported to go to School when their home and school were destroyed by Earthquake, and yes their parents also dead when Church they were worshiping crumbled. They are staying in Bhaktapur, near Kathmandu and living with their relatives. Please pray for their future and continued study. People shelter. Earthquake happen a year ago in Nepal but people still live under the shelter of tents in most part of the Earthquake hit areas. 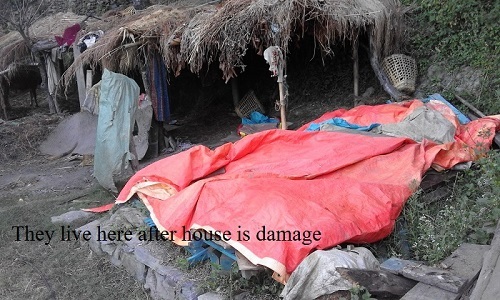 Nepal Earthquake was 7.9M in Richter but devastation was so huge because of the big hills and houses in the terrains. We can't help everyone but we can help one at a time, those who are in same household, family of believers, according to Gal 6:10. I believe that this is what Christian suppose to do. Government of Nepal received so much large amount of aid but their process of releasing assistance and supplies are very complicated and its not certain when they will get the help. People still need food, blankets and help to rebuild their homes and Churches. 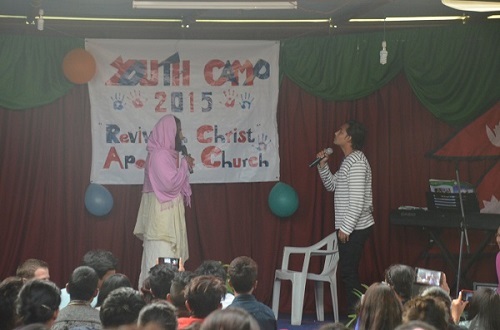 Youth Revival Camp in Kathmandu. Its a drama of a Good Samaritan. New believers are always interested to see Christian way of life. It helps them be rooted in their faith. They start to believe Jesus. 50 years ago there were hardly 5000 Christians in Nepal, but now there are at least 2,500,000 Christians in Nepal. You see the grace of God in Nepal is enormous. Let us be a part of the evangelistic team in Nepal. Nepal shall be saved. World Race helping Sunday School. I think you have heard of the World Race groups that travel 11 different countries in 11 months. They visit Nepal and work with me, Reuben, for a month and volunteer in any ministry we give them, like labor work, teaching, evangelism, drama, and social service. They pay for food and lodging. This is a very good mission agency. We are thankful for them. 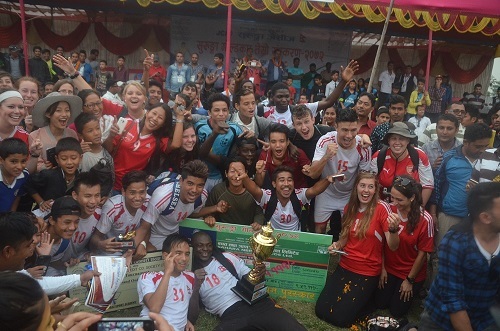 Church Boys won the prestigious football cup in Jhapa, in East Nepal. It is always good to see young people represent Jesus Christ in the sporting field. Sport is a great way to reach youth and share the love of God to them. Our purpose of playing sport is to reach young communities for Jesus. I am a Pastor, but I am also a Coach. 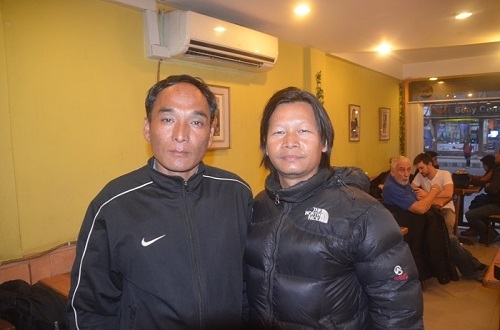 I became very happy when they do good in Sport, it fuels our motto of reaching youth community in the sporting world. It is a gospel when they sing in pitch, pray in public and witness to fellow friends, and we believe this that God is glorified in the sporting field too. Youth join hands to care for each other and stand firm in their faith to the World. 90% of Christians in Nepal are in between 16-45 years of age. We have to maximize program oriented among youth. This is foundation, we have to make them strong. Any one who wish to come to Nepal can do youth camp, revival conference, youth retreat, Bible college for youths, Youth worship and others. We have been doing this but we can't do it alone. Rita is the best cook. She cooks everything perfect and delicious. 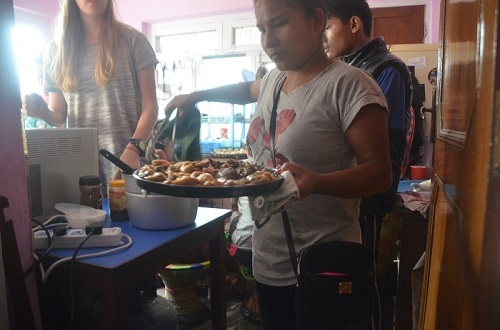 In this photographs she is busy cooking Momo for Orphans kids in Kathmandu. We need help in the Orphanage in Kathmandu, in teaching, cooking, and leading them to Bible Study, prayer, worship, clean, game, home work and others. This is Dil Bahadur from Rasuwa who lost his wife in Earthquake. He saw 8 of his Church members died in Earthquake. Their home and land is totally buried by rocks now and they can't return to their village anymore. Jyoti, Isaac, Amos, Sarmila and Ashisma (old name Hissi Dolma) are from his Church. We had medical camp with team from Egypt. We organize medical camp for the people of Nagpuje in Sindhupalchowk, which is hard hit place of Earthquake. They were so happy that they got treatment right in their village. Many types of sick people were treated and given free medical. 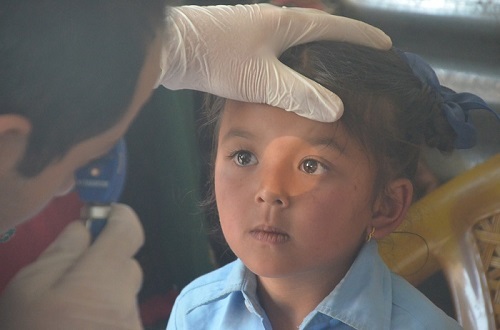 Any Medical team can come to Nepal and have medical camp in Nepal. We can help them. 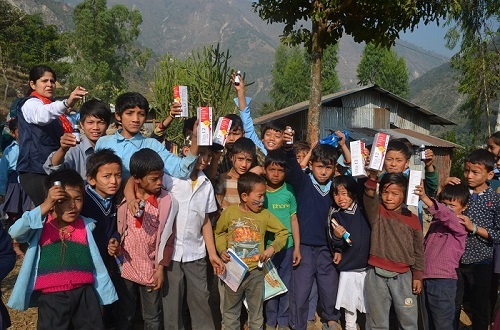 These kids in the mountain show the vitamin pack. Many Children in village are victims of malnutrition. So when we give Vitamins like this, we feel we are giving them something, not just talking. Children were so happy to have a bottle of Vitamin. Many of you did not have our fresh family photograph, here is one. This is the family that contributes most of its time to the Lord's work in Nepal and we are proud to have you near our heart. 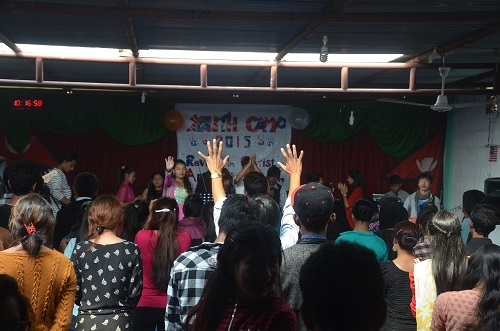 Together we shine the light of Christ in Nepal. Please continue to pray for us as we face hard times in Nepal. 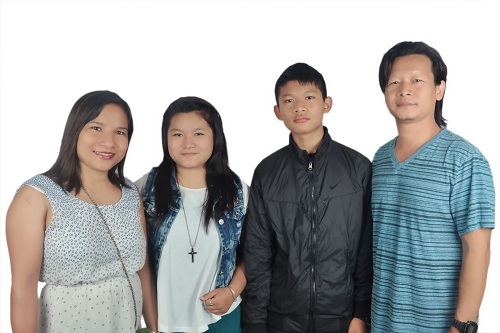 This is Reuben and Rita with Rosanna and Reuel from Kathmandu, Nepal. Earthquake last part of the report coming soon.